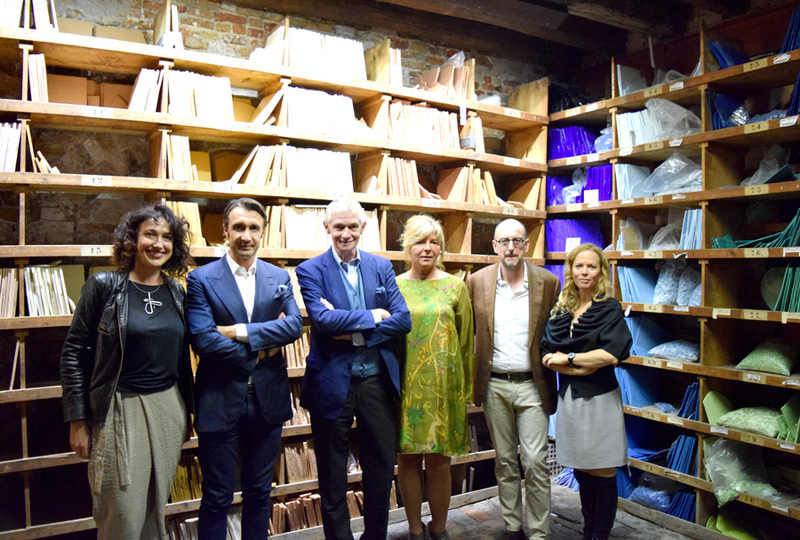 On Thursday 18th October, the third and last conference of the cycle dedicated to color was held at the Orsoni Furnace entitled “Relevance and color evolution”. After the themes of Architecture and Art, the conference was dedicated to Design: an interview with Giulio Cappellini, Architect and Designer and Vicky Syriopoulou, Color Designer, the Special Guest Carlo Colombo, Architect and Designer, and Carolina Suels, Architect, in a dialogue moderated by Katrin Cosseta, Journalist of Interni Magazine. 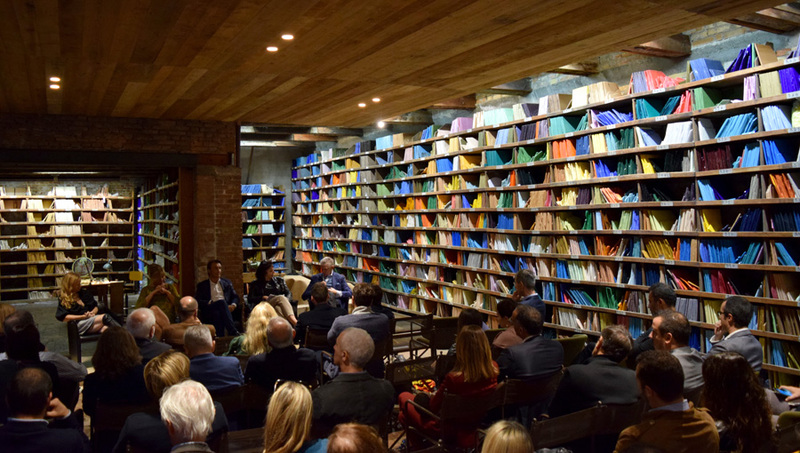 After the initial greetings of Sonia de Rossi, D & A Consultant, and Riccardo Bisazza, President of Orsoni, the conversation was inspired by the place itself, the “Library of Color”, in which the colors are real, made of the Venetian smalti plates. Vicky Syriopoulou emphasizes how color draws us before form: in 80 milliseconds, the color “arrives” before any other aspect of the form, much more than whites and blacks. senses, while perception slows down towards darker colors. It is very important the discipline of neuroaesthetics, born from physics and neuroscience, which involves cognitive science and aesthetics to study the neural mechanisms at the base of works of art. An example is the Brera Library in which the white rooms were colored according to the chromatic tones of the paintings. 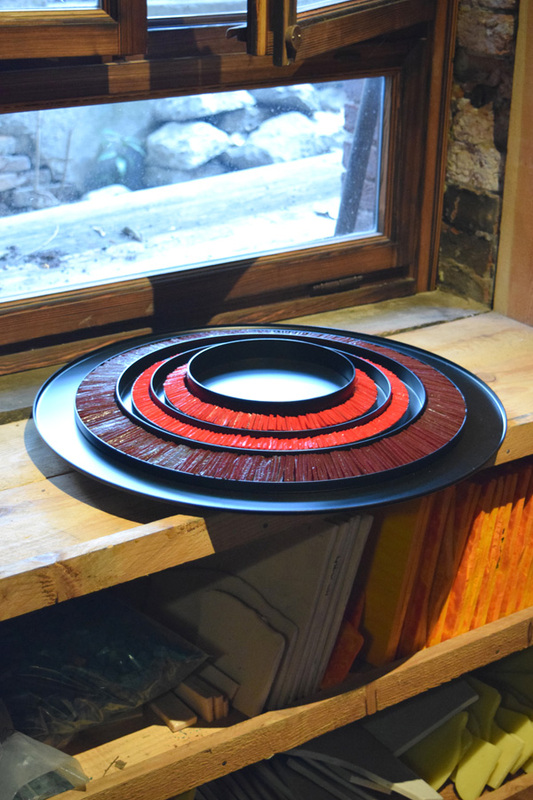 The Color Designer Vicky Syriopoulou invited the audience to observe the projects of the “Prisma Project” designers, presented as a preview at the Superloft 2018 by Giulio Cappellini Architect during the Fuori Salone in Milan. 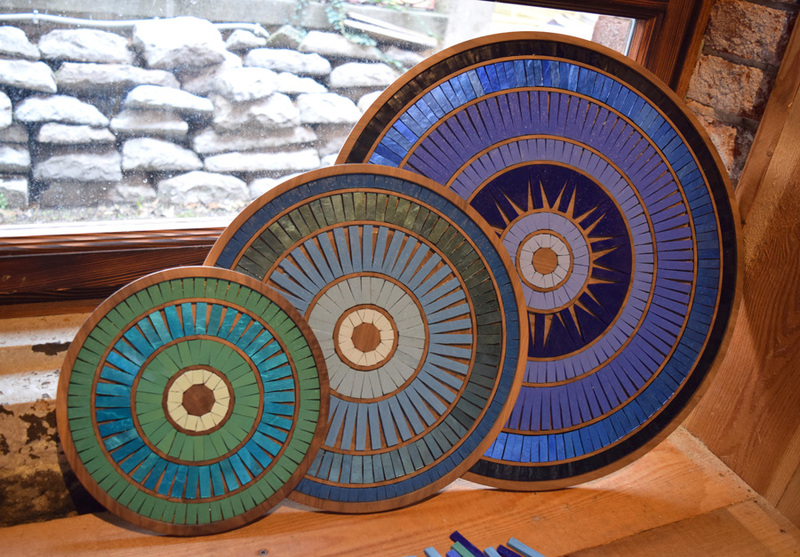 Each project is made with color around the object. Venetian Smalti and Golds produced with the ancient Byzantine techniques are combined with the design ideas of young designers. 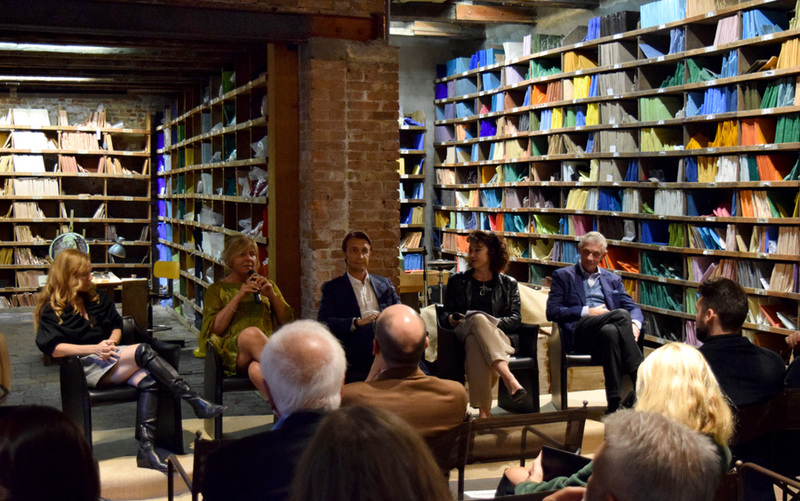 Carlo Colombo Architect explained the importance of color in the architectural project. An example, is his project “La Maison” by Fendi Casa in Panama in which the thin bronze profiles change color from hour to hour according to the day time. In his idea, the design of the facade is strongly linked to color. Carolina Suels Architect, was born in Caracas, graduated in Venezuela and specialized in Milan, she directs the research and development dpt of the Maison Armani for which she is creating a “materioteca”. As a talent scout of top-level materials, she also emphasized how the position of the colored surfaces are fundamental to perception.